According to Carl Gustav Jung, the human collective unconscious is populated by instincts and by archetypes. Together with myths that come from our atavistic past, we must confront them in our daily life to create an order and go on. Each individual has his own heroes, and demons, regardless of being religious or pagan. In our second participation after the big success at our debut last year, we present Ambrossio, Roger Ballen, Julia Fullerton-Batten y Ellen Kooi. 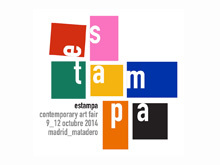 We participate for our first time in JustMAD, the acclaimed emerging art fair of Madrid, which celebrates its tenth edition. 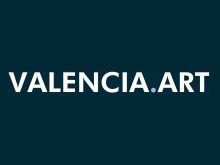 It will be hosted at the new and exceptional venue Palacio de Neptuno, being again curated by Semíramis González and Daniel Silvo. Our selected artists are Elina Brotherus, Ellen Kooi, and Liza Ambrossio. Activity funded by the Madrid City Council (Ayuntamiento de Madrid), Spain. 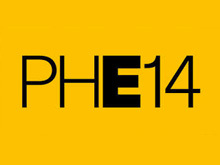 This year we will participate for the third time in the internationally acclaimed emerging photography fair Unseen. Our selected artists for the show, in which their most recent artworks will be presented, are Elina Brotherus, Jorge Isla, and Javier Viver as a "Premiere". Activity funded by the Madrid City Council (Ayuntamiento de Madrid), Spain. Under the title of “The Archive of the Unclassifiable” Javier Viver shows a selection of photographs from the “Iconographie de La Salpêtrière” filed in a modular filing cabinet, and the reconstruction of a number of body castings. Thus Viver takes his proposal of the “Révélations” book to the exhibition space of the gallery. His book was awarded the National Prize for the Best Art Book by the Spanish Ministry of Culture in 2016, and also the ArtsLibris Award. This year is our third participation in the fair and we will showcase a curated project with works by Ellen Kooi, Ione Lameiro, Cristina Martín Lara, Cecilia de Val, Javier Viver, Paco Llop, and Roger Ballen. 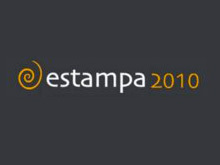 Activity funded by the Ministerio de Educación, Cultura y Deporte of Spain. Childhood may be the best or the worst time of our lives. It is period of time which becomes key in our development as human beings. Photography approached it from many and revealing fashions. For this curated project by Juan Curto we selected world-class artists like Roger Ballen, Elina Brotherus, and Ellen Kooi. 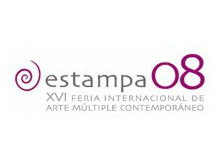 We participate for our first time in JustMAD, the acclaimed emerging art fair of Madrid, which celebrates its ninth edition. It will be hosted at the new and exceptional venue Casa Palacio Carlos María de Castro, being curated by Semíramis González and Daniel Silvo. Our selected artists are Elina Brotherus, Ellen Kooi, and Irene Sánchez Moreno. Activity funded by the Madrid City Council (Ayuntamiento de Madrid), Spain. 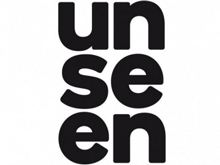 This year we will participate for the second time in the internationally acclaimed emerging photography fair Unseen. Our selected artists for the show, in which their most recent artworks will be presented, are Elina Brotherus, Alberto Franco Díaz, and Johann Ryno de Wet as a "Premiere". Activity funded by the Madrid City Council (Ayuntamiento de Madrid), Spain. This year we present the project "Introspective" by the acclaimed photographer Roger Ballen within the framework of the Festival Off. In this project we have selected three of his most iconic series -”Outland, “Shadow Chamber” and his most recent “Boarding House”- in order to create a hallucinatory and enigmatic itinerary of one of the most personal and singular visions in contemporary photography. Throughout his career Ballen has developed what we could call a voyage of discovery in which we must abandon our everyday self to face the most primitive side of the human condition and of our own psyche. In our fifth participation in the fair we present a "solo project" with Cecilia de Val that explores new landscapes loaded with reflection on the deconstruction of the image. In our second participation in the fair we will showcase a curated project with brand-new works by Cecilia de Val, Elina Brotherus, Gerardo Custance, Alberto Franco Díaz, Ellen Kooi, Cristina Martín Lara, Ester Pegueroles, and Johann Ryno de Wet. 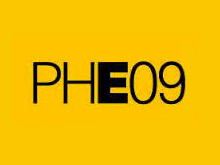 This will be our first participation in an invitational fair that has become the most prestigious international emerging photography fair in the world. Our artists selected and of which we will show their most recent work are: Elina Brotherus, Nanna Hänninen, and Cecilia de Val. This year we present the project "Now is Now" by the finnish photographer Nanna Hänninen as part of the Festival Off. This project deals with anxieties, existential threats and survival in the jungle of emotions. This applies not only to the artist and her experiences but also to us, the viewers of her works. The series explores the importance of the present as well as time itself and its relativity. The past is just a memory and the future is a construction of the mind, and between these two is here and now, the only moment on which we have direct influence. In our first participation in the fair we present a project curated with the most recent pieces by Elina Brotherus, Julia Fullerton-Batten and Ellen Kooi. We have been selected in the project Madrid City Art Project in our first participation in the fair, and we will present the work of Solange Adum, Elina Brotherus, Francisco Llop, Cecilia de Val, Ester Pegueroles, Gerardo Custance, and Irene Sánchez Moreno. In our third participation in the fair we present a curated project with the most recent pieces by Jamie Baldridge, Elina Brotherus, Julia Fullerton-Batten, Ellen Kooi, and Cecilia de Val. 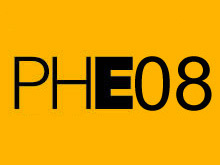 On this occasion we will show photography, video, and sculpture. This year we present the project "A Promise" the first individual exhibition in Madrid by the emerging photographer Vicente Tirado del Olmo in the framework of Festival Off. It is already our fifth participation in "Jugada a tres bandas" this year, with the new work of the acclaimed Elina Brotherus that will present "The return and the nostalgia", in a project curated by Juan José Santos. In our first participation in this prestigious fair in Paris, we will present the work of artists Elina Brotherus, Julia Fullerton-Batten, and Ellen Kooi, with her latest photographic works. This will be our second consecutive year at the fair. We will show a project curated with pieces by Gerardo Custance, Ellen Kooi, Yann Leto, Javier Núñez Gasco, and Cecilia de Val. The media used by the artists will be installation, painting, photography, and sculpture. We returned this year to the fair, our first time in the headquarters of Matadero, with a project in which we will show new pieces by Artists Anonymous, Gerard Custance, Ellen Kooi, Line Gulsett, and Cecilia de Val. A selection of the most outstanding of the gallery. In our fourth participation in the fair we present a duo show with Gerardo Custance and Cecilia de Val that explores the borders of the landscape and the territory, as well as the policy of helplessness and gravity. This year we present the project "La Pesanteur" by our artist Cecilia de Val in the framework of Festival Off, a brilliant exercise of introspection that will become one of the best works of this international photographer. It is already our fourth participation in "Jugada a tres bandas", with the work of Henry Eric Hernandez and Pep Vidal presenting "Híbrido", a project curated by Andrés Isaac Santana. In our second time in the festival we introduce the group exhibition "Conspiracion de mujeres" curated by Juan Curto and with the female artists of the gallery: Elke Andreas Boon, Julia Fullerton-Batten, Line Gulsett, Ellen Kooi, Nanna Hänninen, Miss Aniela y Cecilia de Val. We participate for the first time in Art Miami, the oldest fair in the city with a great number of visitors, with the illusion of returning to a place where we have had big successes. We will introduce Jamie Baldridge, Javier Núñez Gasco, and Cecilia de Val among other artists in the gallery. One more year at the Festival Off, PhotoEspaña, with the work of Julia Fullerton-Batten presenting "Unliving", curated by Juan José Santos, where she talks about the "manipulated beauty" prevailing in our current society. 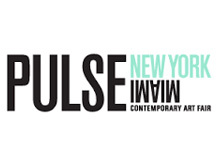 We have been selected to participate in one of the most prestigious contemporary art fairs: PULSE NY. We present a single show from the project "Underland" by Johann Ryno de Wet. We have available invitations. 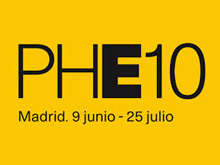 It is already our third participation in "Jugada a tres bandas", with the work of Irene de Andrés, Sergio Porlán and Zoé T. Vizcaíno presenting "Technologies of the sublime Landscapes against time" curated by 1erEscalón (Isabel Durante, Ana G. Alarcón and Miguel Ángel Hernández). The first exhibition of European art photography in Brussels invites 60 European galleries to present the best contemporary scene of photography and video creation. Our gallery will feature: Nanna Hänninen, Ellen Kooi, Johann Ryno de Wet, and Cecilia de Val. 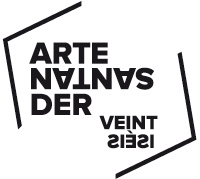 In our third participation in Artesantander, an independent selection committee has selected our project curated by Cláudia Camacho with Margarida Paiva, Ana Rito, Johann Ryno de Wet, and Cecilia de Val. 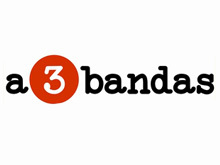 Free invitations on Facebook and Twitter (click on "News"). 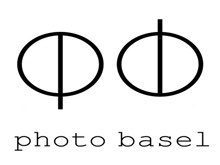 One more year at the Festival Off of PhotoEspaña with the work of Nanna Hänninen introducing "Plants / Objects // Paint", a risky exploration of the overlap between photography and painting, between color and black and white, from a minimalist approach. In our second participation in the fair we present pieces by Line Gulsett, Ellen Kooi, and Johann Ryno de Wet. We are waiting for you at booth A18. It is already our second participation in "Jugada a tres bandas", with the work of Margarida Paiva, Ana Rito, Johann Ryno de Wet and Cecilia de Val presenting "Stories and desires from who sleeps" curated by Claudia Camacho. 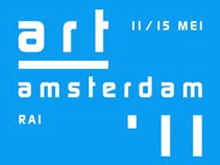 Our first participation in Art Amsterdam, the 27th edition of one of the most important and reputed fairs in Holland. 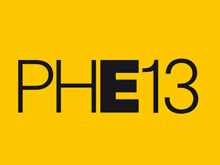 In the last edition, exhibited 129 galleries from Holland, Europe and Asia, attracting more than 22,000 visitors. We will be presenting works by Artists Anonymous, Ellen Kooi and De Val & Leto. We have VIP passes. We are proud to announce our participation in "Jugada a tres bandas", with the work of Coco Capitán, Julia Fullerton-Batten, Aino Kanisto, Ellen Kooi, Ion Macareno, Ixone Sádaba and Damian Ucieda who present "Everything we did was insufficient" curated by Edu Hurtado. 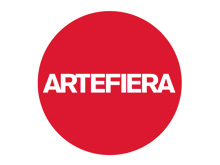 Arte Fiera is the most important contemporary art fair in Italy. In our first participation in the Young Galleries section we will present a new project with 3 artists: Artists Anonymous, Ellen Kooi and Cristina Martín Lara. In our third appointment with the fair Estampa we will show the new works of Artists Anonymous, Alfonso Brezmes, Carlos Cid and De Val & Leto. We have invitations. 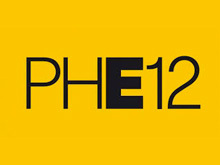 In our second participation in the Festival Off of PHE we present the interdisciplinary project "Negative Space" by Artists Anonymous, which investigates the unstable relationship and the shifting border between photography and painting, with special emphasis on the key role of "negative space" in the artistic composition. We will present for the first time in Barcelona a project with Artists Anonymous, Ellen Kooi and Cecilia de Val. 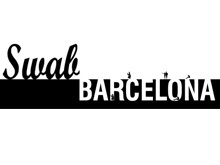 The purpose of SWAB is to present the emerging contemporary art of the world panorama, thus being a platform for the new generation of young national and international galleries. 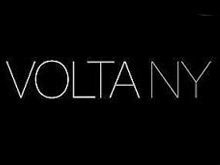 We have been selected to participate in one of the most prestigious contemporary art fairs: VOLTA NY. We will be presenting a single photo, sculpture and video project by Nanna Hänninen with the series "New Landscapes" and "Asymmetric Exposures". CIRCA Puerto Rico '10, in its 5th. Edition, is held at the San Juan Convention Center. 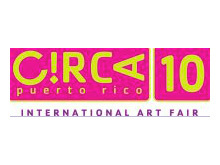 CIRCA PR is the most dynamic contemporary art fair in the Caribbean, intimate yet ambitious, allowing gallerists, collectors and artists to interact in a more personalized way. We will present new pieces by Julia Fullerton-Batten and Cecilia de Val. A full VIP program is available. 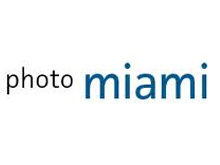 In its fourth year, photo MIAMI, the renowned photography, video and new media show, returns in a new and improved location on NW 34th Street with North Miami Avenue in the Wynwood Arts District. We will show Jamie Baldridge's work on an solo project. 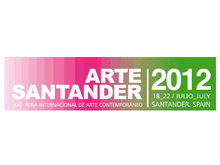 The fair is celebrating its 17th edition with a strong commitment to "new media" such as photography and video, and sections such as TENTACIONES (emergent creation) and video.ES. camara oscura has selected new works by Nanna Hänninen (in the first place), Johann Ryno de Wet and Cecilia de Val. We have invitations. 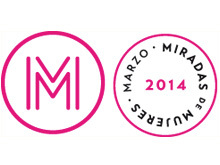 Our first participation in VALENCIA ART that is celebrated for the first time in the Museo del Carmen. With a renewed spirit and an interesting program of collectors, the fair bets strong with a great selection of national galleries. 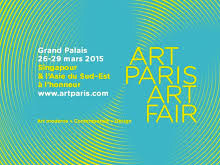 We will present works by Carlos Cid, Ellen Kooi and Cecilia de Val. We have invitations. 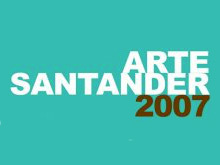 In the second participation of camara oscura in Artesantander we present the work of Alfonso Brezmes, Ellen Kooi, Riitta Päiväläinen, Cecilia de Val, and Johann Ryno de Wet. 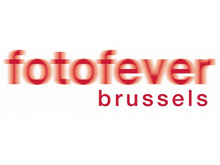 This year the fair counts with Belgium as guest country. Invitations availables. This year camara oscura presents "Borrowed Landscapes" by the Dutch photographer Ellen Kooi after the success of her previous solo exhibition in La Casa Encendida in 2008 and ARCO 09. Ellen will present new works that will surprise by its risk and its creativity. 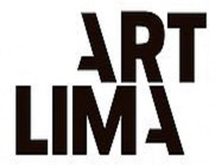 camara oscura participates for the first time in ARCO 40. We present three of the artists with greater projection of the gallery: Carlos Cid, Julia Fullerton-Batten and Ellen Kooi. 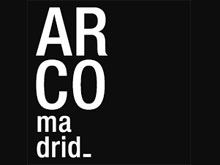 We hope to see you at ARCO. 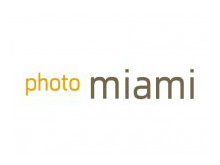 One more year we participate in photo miami at the same location as the Wynwood Art District. This fair is undoubtedly a reference in photography, video and new media during the Art Basel Miami celebration. We will present Miss Aniela, Jamie Baldridge, Alfonso Brezmes, Julia Fullerton-Batten, Ellen Kooi, Cristina Martín Lara, Johann Ryno de Wet and Cecilia de Val. We have invitations. 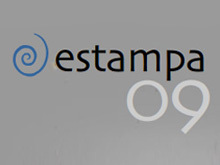 Estampa focuses on "multiple art" giving for the first time a central importance to photography as a medium. 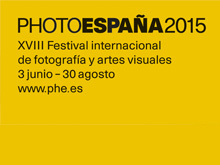 Camara oscura participates next to a selection of Spanish galleries exposing the latest photographic trends. The gallery will present its new "Collection camara oscura" of limited editions designed to facilitate access of all to photography. camara oscura participates for the first time in PHOTOESPAÑA presenting the new series by the artist Cristina Martín Lara, one of the most important emerging Andalusian artists in the national scene. "Landpartie" is Cristina's new series since her previous series "If I knew what it is ..." to be seen at the Festival Off PHOTOESPAÑA. 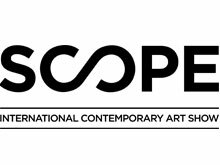 camara oscura has been selected to participate in the prestigious SCOPE Basel exhibition in the world capital of art. 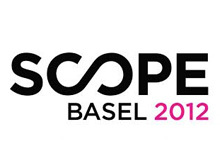 SCOPE BASEL bring us the most emergent international art, including curated projects. 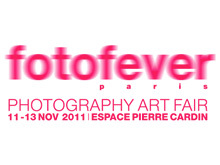 We will present at the 214 stand new works by Carlos Cid, Lynne Cohen, Julia Fullerton-Batten and Ellen Kooi. There are invitations available. 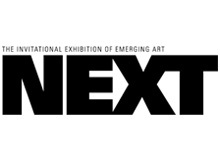 camara oscura has been invited to participate in NEXT, the new contemporary art fair, which will take place in parallel to Art Chicago. 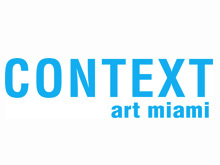 NEXT will present a summary of the best works of the most emergent contemporary art. We will introduce Carlos Cid, Julia Fullerton-Batten, Ellen Kooi and Johann Ryno de Wet. There are invitations available. Photo miami opens its doors in the Wynwood Art District. camara oscura has been selected to participate in this international fair of photography, video and new media with our artists Carlos Cid, Lynne Cohen, Julia Fullerton-Batten, Ted Partin and Johann Ryno de Wet. The fair will take place at NW 31st Street & Noth Miami Avenue. We hope to see you there. 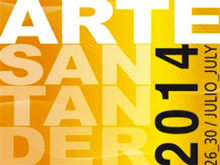 camara oscura has been selected to participate in the ARTESANTANDER fair. The artists of the gallery that we will expose are: Carlos Cid, Julia Fullerton-Batten, Cristina Martín Lara, Johann Ryno de Wet and Pétem Thomsen. 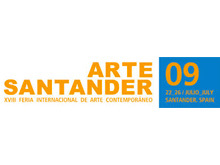 The fair will be held at the Exhibition and Congress Center of Santander. Ask for an entrance and visit us at booth 29.
camara oscura has been selected to participate for the first time at the International Art Exhibiton of the Biennale in Venecia. 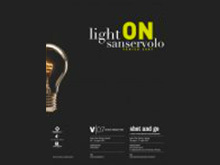 This international fair will take place on the island of San Servolo. In this edition, will participate our emerging artist Johann Ryno de Wet. 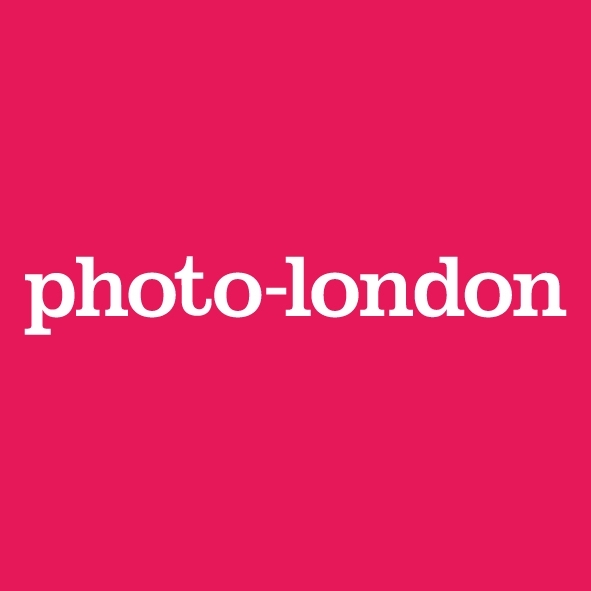 camara oscura has been selected to exhibit in the first edition of photo-london, a new fair created by the founders of Paris Photo. At this international fair of photography we will present a selection of very promising and emerging artists: Bianca Brunner, Julia Fullerton-Batten, Cristina Martín Lara, Johann Ryno de Wet, and Pétur Thomsen.